Occupational therapy, physical therapy, speech therapy and home nursing are vital services that allow the elderly or disabled person to live with dignity and in the comfort of their own home while at the same time ensuring that they receive the personal attention and medical care that they require. Whether the need is for medical care such as administering injections and/or medication, drawing blood for lab work or providing the therapeutic services aimed at enhancing motor function or speech, therapists and nurses enable the elderly to continue living at home independently while ensuring the home remains a healthy and safe environment. Dust and allergens aggravate medical conditions while clutter causes slips or falls. Our aides assist with light housekeeping duties such as cleaning, washing dishes, doing laundry and changing linen, among others. For clients with physical limitations or busy schedules, our aides cheerfully shop for necessities such as food, medicine and household supplies. With thorough attention to detail, each aide maintains order, cleanliness and order in the patient’s home. The home is the most optimal environment for our patients. Through these additional services provided by our aides, it also becomes “home” in the fullest sense of the word – clean, efficient, comfortable, cozy and safe. Our registered nurses are on call 24 hours a day to answer questions, administer treatments, ensure that physicians’ orders are followed, and to provide direction and guidance to home health aides.  A nurse is assigned to every one of our cases, whereby the nurse supervises and monitors the care provided to the client by the home health aides and other professionals involved in the patient’s care. Nurses are available to visit the patient’s home for nursing services, allowing the patient to receive the treatment needed in order to avoid the often-difficult and laborious trips to a hospital or doctor’s office for routine matters. Our occupational therapists promote patient independence by helping our clients with fine motor function and recover from injuries. They also provide support for the elderly experiencing physical and cognitive changes. They perform individualized evaluations and determine patients’ goals, create customized intervention to improve abilities to perform daily activities, and formulate outcome evaluations to ensure that their goals are being met. Physical therapists help patients maximize mobility and function, minimize pain, improve stability and learn proper use of needed equipment such as walkers, grab-bars and wheelchairs. Their therapy is invaluable in improving the quality of life of our seniors. We provide speech pathologists trained at helping seniors recover or improve their communication skills, which is often minimized due to injury, stroke, Alzheimer’s or senility. Speech pathologists can also provide eating-related therapies, such as techniques to improve chewing or swallowing.